Girl Membaca Book. I'd Cinta to see this statue!. 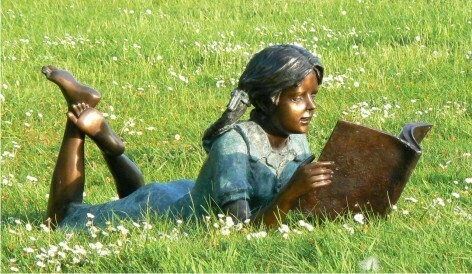 Wallpaper and background images in the Buku Untuk Dibaca club tagged: girl reading book statue books to read image. I'd Cinta to see this statue! This Buku Untuk Dibaca photo contains barrow, troli taman, rumput cart, sorong, rumput troli, and kereta sorong.